December 21, 2016 was bad for India when the trial test of the nuclear-capable ‘Nirbhay’ long-range cruise missile failed for the third time. According to DRDO officials, “The booster engine in Nirbhay’s first stage started working. The missile lifted off from its launcher. But it started veering dangerously towards one side in less than two minutes of its lift-off”, adding, “This is a hardware element issue. This is a reliability issue with a component... It is a big failure. We should have a thorough re-look at what has been done so far. Out of four Nirbhay missions, three have ended in failure.” During the flight trial of this missile conducted on Octobe4 17, 2014, the missile reportedly had travelled 1,010 km while being monitored by the ground station and an IAF fighter jet. In December 2016, government gave 18 month extension for the Nirbhay project over the missiles operational capabilities. Having been launched in 2004, completion date of the project was December 31, 2016. The Nirbhay team was asked to complete the project by June, 2018. 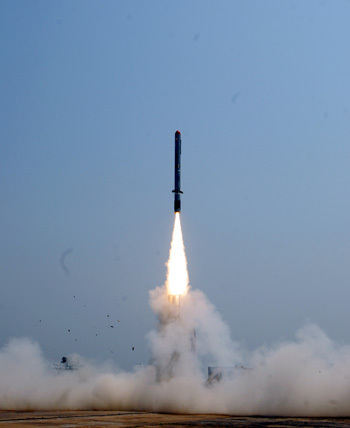 But the all the tribulations were left behind when on November 7, the Nirbhay subsonic cruise missile with a range of 1000km was successfully test-fired from a specially-designed launcher from the launch complex-3 of the Integrated Test Range (ITR) at Chandipur in Odisha's Balasore. Powered by a solid rocket motor booster, the Nirbhay missile, with a turbo-fan engine, is guided by a highly advanced inertial navigation system. The Nirbhay project is about mastering cruise missile technology as much as it is about delivering a useable weapon to the armed forces. The Nirbhay subsonic cruise missile is to have: range exceeding 1,000 km; speed between 0.8 and 0.9 Mach; launch weight of 1,500 kg; length of 6 meters; carry conventional or nuclear warheads of 24 different types, and; fly at very low altitudes of 20 meters or less evading radar detection, using a terrain-following function facilitated by its onboard inertial navigation system. India’s first domestically developed and built ballistic missile nuclear submarine (SSBN) class, the Arihant-class-class, is to be armed with the Nirbhay cruise missile. Nirbhay missile, once operational, will also likely be deployed aboard surface warships of the Indian Navy. DRDO is reportedly also working on developing an air-launched variant of the weapon system for the IAF. Defence Minister, Nirmala Sitharaman, hailed the success of DRDO’s Scientists and complimented them for this inspired achievement. She was optimistic that this successful trial would take India into a select league of nations who possesses such complex technology and sub-sonic cruise missile capability. The Nirbhay will augment the BrahMos, providing a deadly combo to our Armed Forces. The Armed Forces have already inducted the 290-km range land and warship-based versions of the BrahMos missiles over the last decade. After India joined the Missile Technology Control Regime (MTCR) in June 2016, India has also tested an extended range BrahMos that can hit targets 450-km away, since joining MTCR removed the cap on the range of such missiles beyond 300 km. Now the good news is that India is all set to conduct a test the BrahMos, which flies almost three times the speed of sound at Mach 2.8 from a Sukhoi 30 MkI fighter aircraft; a lighter BrahMos missile, weighing 2.4-ton instead of the original 2.9-tonne, is to be tested fired from the Sukhoi over the Bay of Bengal shortly. This will give India the capability of deep strikes in enemy territory with precision. 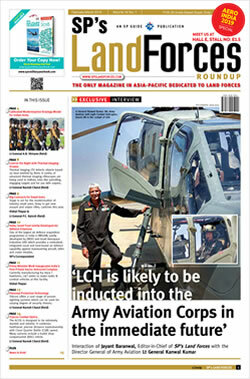 It may be recalled that the Chinese media was uncomfortable when India had announced deployment of the land based BrahMos along the Line of Actual Control (LAC). The marriage of the long range BrahMos with the Sukhoi 30 MkI fighter changes the Indian capability altogether and should be a deterrent to Pakistan wagging its nuclear tail since the air-to-ground BrahMos can make pinpoint attacks on terrorist camps and other targets like communication centres, underground bunkers, naval vessels on high seas etc. According to media, 42 x Sukhoi fighters are to be armed with BrahMos missiles once the air-launched missiles have undergone successful tests. IAF has upto now inducted 240 x Sukhois fighters contracted from Russia, with bulk of them being produced by Hindustan Aeronauticals Ltd (HAL) under license. In addition, work has also begun on developing a hypersonic version of the BrahMos, capable of flying at a speed of over Mach 5. 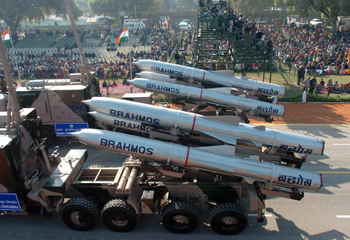 India has offered the BrahMos missiles to Vietnam, while it has received requests from at least seven other countries from the Asia-Pacific, Latin America and the Middle East regions. Live firing from Sukhoi aircraft will enhance its salability even further. The BrahMos attracted special attention at the Dubai Air Show (12-16 November), showcased in the backdrop of scale models of Sukhoi Su-30 MKI fighters, ships and submarines. It was the only supersonic missile on display in the entire air show.